Below you can view all the homes for sale in the Aero Plantation subdivision located in Waxhaw North Carolina. 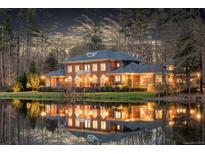 Listings in Aero Plantation are updated daily from data we receive from the Charlotte multiple listing service. To learn more about any of these homes or to receive custom notifications when a new property is listed for sale in Aero Plantation, give us a call at 704-259-7842. 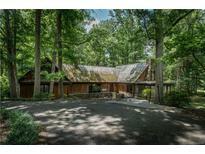 Located in a 487 acre Wildlife Preserve. MLS#3484709. Coldwell Banker Residential Brokerage. Close to 485, amenities of every sort are at your disposal. MLS#3468591. Reside Realty LLC. Beautiful hardwoods and freshly painted interior offering a blank canvas awaiting its new owners. New roof to be completed. MLS#3465386. Reside Realty LLC. Basement has Bedroom and bonus and 2 full bth but 6'10 ceilings. MLS#3389280. Keller Williams Ballantyne Area. Infused with an atmosphere of sophistication and refinement, this grand estate is astutely sited on 7+ stunning acres. Perfection! MLS#3388642. Peters & Associates.